Director Ed Wood is best known for his films Plan 9 From Outer Space and Glen or Glenda, and his life was chronicled in Tim Burton’s acclaimed Ed Wood (featuring Johnny Depp as the eccentric filmmaker). 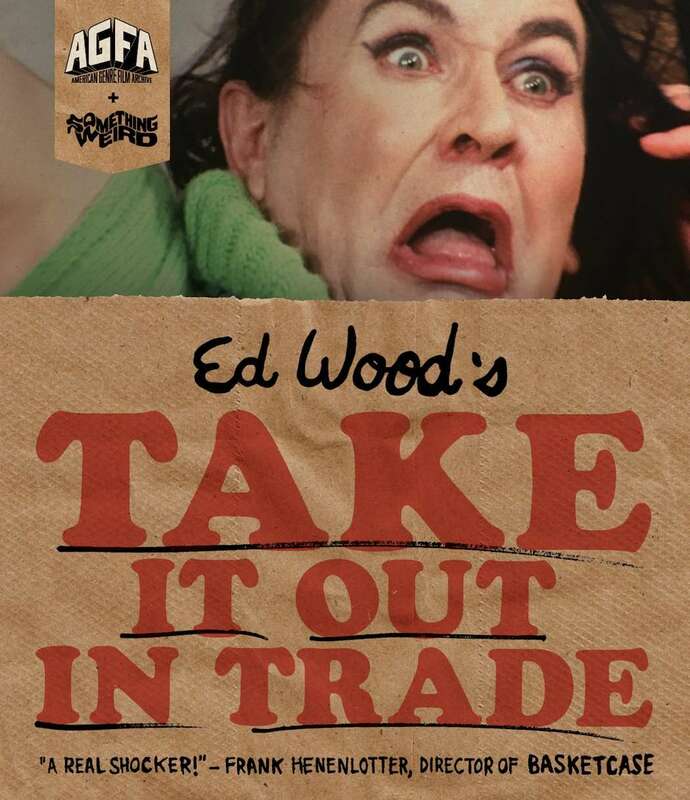 Thanks to Alamo Drafthouse’s American Genre Film Archive, Wood’s Take It Out In Trade will be released as a Blu-ray/DVD combo pack on November 13. Thanks to a successful Kickstarter campaign in 2015, AGFA bought a film scanner to create new digital transfers of titles taken from the Something Weird library. Shot over a course of three days in 1970, the feature is described as a “surreal sexploitation detective comedy” which features voiceover from Wood (who is also featured in drag in the flick as a character named Alecia). Special features on the disc includes a commentary track with director Frank Henenlotter (Basket Case), Joe Ziemba, and Ed Wood biographer Rudolph Grey. Also included is exclusive liner notes from Grey, reversible cover art, 70 minutes of unseen footage from Take It Out In Trade, and a bonus movie (the Ed Wood feature The Love Feast).